The US Open kicks off tomorrow at Chambers Bay Golf Course in Tacoma, Washington. The course is not your normal US Open course and will play much more like a links style golf course. It is definetly going to be fun to watch. The BEST part is that the coverage will start later with it being on the West Coast. So no need to book an early time this Father's Day, enjoy the day and than head home for the couch. 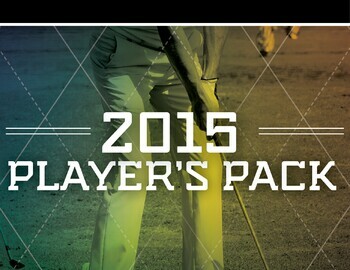 If you are still looking for a gift for your Dad make sure to pick up a Player's Pack. From now until Father's Day we are throwing in a 4th round for FREE. Stop in to buy yours today!